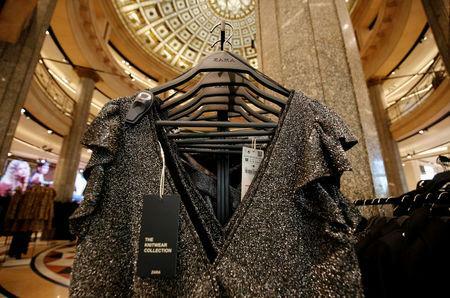 A CORUNA, Spain (Reuters) - Zara, the fashion chain owned by the world's biggest clothing retailer Inditex <ITX.MC>, will introduce augmented reality displays from April, it said on Tuesday, in an effort to lure millennials into its stores. Clothing retailers are having to invest in memorable product demonstrations and store-specific content to attract customers in their twenties and early thirties, whose increasing use of online players such as Amazon <AMZN.O> has ravaged bricks-and-mortar retail chains in recent years. Zara's latest technological push shows models wearing selected looks from its ranges when a mobile phone is held up to a sensor within the store or designated shop windows, with customers able to click through to buy the clothes. "It is now very rare in the physical stores-based part of the retail sector to find companies not disrupted by online," Anne Critchlow, of Societe Generale, said in a recent note. "However, Inditex is a rare example of a company that should fare relatively well." Rival H&M <HMb.ST> is also investing in technology for enhanced customer engagement, it said at an investors' day in February. 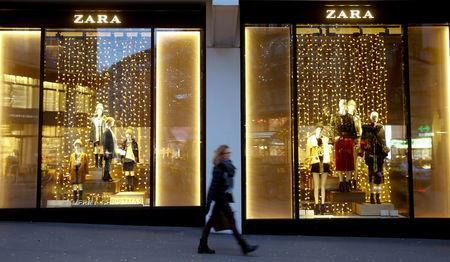 Zara's augmented reality displays will be introduced in 120 stores worldwide from April 18, Inditex said.